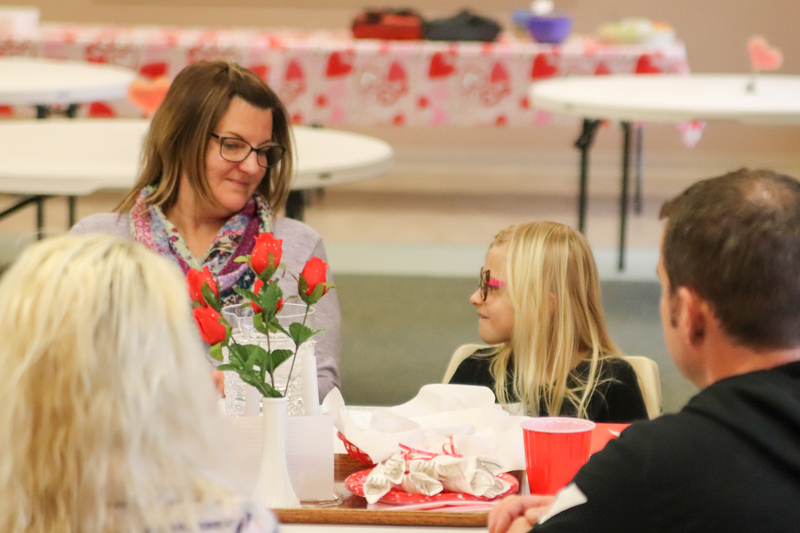 HMKids at Holy Martyrs teaches the basic knowledge and beliefs of the Catholic faith and works along with parents to instill Catholic values in every child. It also prepares students for the sacraments of Reconciliation, Eucharist and Confirmation. Registration is done in the summer, with classes starting each fall. Grade 2: $35.00 Sacrament fee for five sacrament preparation books and materials. Grade 8: $45.00 Sacrament fee for speakers, retreats and journals. The mission of our Parish School of Religion is to lead children to Jesus to help them know the Lord in their hearts. We welcome all families to our program, and support and assist parents in their vital role in handing on our Catholic faith. HMKids Registration is done online. Parents will receive an email by July 15th with a registration link. HMKids Home School (for grades 1, 3, 4, 5, 6, & 7) Please contact Diane Bruce in the Religious Education Office. There is no Home School available for sacrament years 2 & 8. Journey for Children (Non-baptized and uncatechized children in grades 3-8) Meet on Mondays from 6:30 – 7:30 pm. All adults working with children at Holy Martyrs Church are required to complete a training program incorporating the VIRTUS workshop. VIRTUS focuses on educating teachers, parents, and other adults who interact with children about sexual abuse and providing them with information to help prevent abuse. This takes place in “awareness sessions” led by trained facilitators. The awareness sessions consist of videos, worksheets, and discussions. The VIRTUS workshop empowers people to better control risk and improve the lives of all those who interact with the Church. Click here to find all the needed documents required for VIRTUS. Make Valentines for Senior Citizens and deliver to an area Nursing Home. Donate kids’ craft kits to a local children’s hospital. Call ahead to ensure a contact person. Organize a board game night at your local nursing home. Gather your friends and favorite classic games, and plan a fun afternoon. Talk with the Director prior to the event. Decorate placemats for the Friendship Meal. Organize a food drive in your neighborhood and bring the items to the Ministry of Assistance food pantry at Holy Martyrs. Babysit for couples taking part in Discovering Christ. Take part in preparing the Friendship Meal at Holy Martyrs and/or serving the meal at La Sagrada Familia. Have a garage sale or lemonade stand for your favorite cause. Pack up a backpack of school supplies for a child in need. Put on gloves and pick up litter at your local park. Collect DVDs and videogames you no longer use/watch and donate them to a Children’s Hospital for patients. Volunteer at an animal shelter– play with the dogs and cats, help to brush them, and clean up after them. Stuff warm socks with snacks and fruit to pass out to people who are homeless. Secretly rake leaves or shovel snow for a neighbor in need. Make sure your school is recycling– talk to your city hall to get recycling bins for all of the classrooms and make posters to explain what materials can be recycled. Volunteer to read letters or the newspaper to residents in nursing homes. Collect used sporting equipment and donate to communities that do not have access (such as Level the Playing Field to help kids in the US or IAYS that works with the Peace Corps to deliver worldwide). Hold a spa day at a nearby nursing home for residents: paint their nails and do their hair and make-up. Donate your gently used stuffed animals to a local firehouse or police station to give to children in emergencies. Find out when the next sporting event is for your local Special Olympics teams, and go there as cheerleaders for the participants with signs, balloons, and noisemakers. Make a “New Student” guide to your town that includes your favorite parks, a map of the neighborhood, and fun things to do. Search your closet to find items in good condition that you’ve outgrown or don’t use anymore. Take them to your local Goodwill or shelter. Your school may also collect clothing or other items for needy students. Ask if the organization needs volunteers to sort or distribute donations. During the holiday season, see if local stores have lay-away plans that allow customers to pay for purchases over several weeks. Be a secret Santa and pay off someone’s holiday gift balance. For your next birthday, ask that people give donations to a charity of your choice instead of gifts. Send a package or cards to deployed troops, veterans, wounded soldiers or first-responders through organizations such as Operation Gratitude. Create your own campaign or join one through DoSomething.org. You can choose the cause, the amount of time you have available and the type of service in which you want to participate (donations, face-to-face, events, taking a stand, etc.). Collect children’s books and other reading materials for shelters, libraries and schools, then ask if they need volunteer readers. Offer to rake leaves, shovel the walk or do housework for someone in need. Donate homemade blankets to people in need. Many knitting shops, religious organizations and libraries have charitable knitting groups. Invite your friends and hold a bake sale for your favorite charity. Or, see what you can create to sell at a local craft fair. Sing or play music at local shelters or senior organizations. Run or walk in an event like Race for the Cure or Relay for Life. Sign up to help with registration, water stops, setup, cleanup and other administrative tasks before a race event. Participate in a cleanup day at a local beach, trail, waterway or park. March for a cause or organize your own march. Organize or participate in a sleep-out. Experience the difficulties that homeless people face every day while raising money and awareness for homeless or at-risk youth. Covenant House Sleep Out provides online tools to help you plan. Ask at your library to see if volunteers are needed for after-school clubs or children’s book groups. Work with special-needs kids or adults through an organization such as Best Buddies, The Friendship Circle or Special Olympics. Read or help with crafts at an elder-care facility. Help an environmental organization with water testing, trail maintenance and animal management. Grow flowers and deliver them to nursing homes or donate fresh vegetables to a food bank. Help an elderly couple with yardwork. Listen to stories and memories about an elderly person’s life. Collect books throughout the year to donate to local homeless shelters or children’s hospitals. Or collect used books and resell them to generate profits for charity. Collect newspapers, old towels and blankets, and pet food donations for a local animal shelter. Coordinate a charity walk at the local high school’s track. Donate a Birthday Box of cake mix, frosting, candles and toys to a local food pantry for those families in need of a birthday cake. Write/draw pictures for the veterans at the VA hospital.